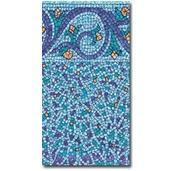 BEADED POOL LINERS. 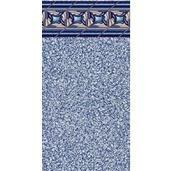 Our premium beaded above ground pool liners will last longer and maintain their beautiful appearance for years. 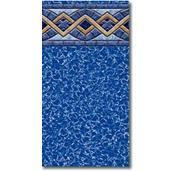 Our beaded above ground pool liners are made to fit most above-ground pools needing a beaded pool liner. Constructed of top-quality Standard or Heavy Gauge vinyl, and packed with Ultra Violet (U.V.) inhibitors, our above ground pool liners will last for years and years. 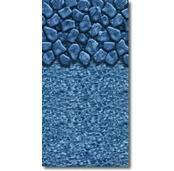 Our beaded pool liners are so rugged; they are backed by a 15 or 25-Year Manufacturer Warranty. 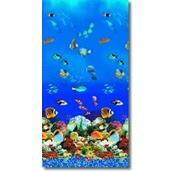 Our beaded pool liners will fit 48" 52" or 54 " high above ground pool walls with flat bottom. Beautiful patterns! When ordering a beaded style pool liner make sure your pool wall height matches either 48'' or 52'' or 54'', as beaded style pool liners must be exact. Also be sure to use proper coving, which relieves undue stress near the pool wall and floor of your above ground pool. Expert Advice customerservice@pcpools.com. 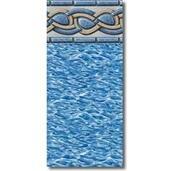 BEADED POOL LINERS: Beaded pool liners come in 3 sizes, 48", 52" or 54" wall heights. If there is any height adjustment that needs to be made, this needs to be done by removing or building up the height of the "cove" located at the base of the pool wall within the pool. Cove is available in "wedge" shaped Styrofoam or sand can be used by compacting it into the corner where the wall meets the floor.